Francisco Pizarro Gonzalez was born in Trujillo (modern day Extremadura) Spain in the year 1471. The area was very rural, and its history is not well recorded. As a result, the exact date of Pizarro’s birth is not known. Pizarro was the illegitimate son of Gonzalo Pizarro who was an infantry colonel, and Fransisca Gonzalez. Pizarro grew up poor, and was not educated, so he could not read or write, despite his father being the cousin of the famous conquistador Hernan Cortes. 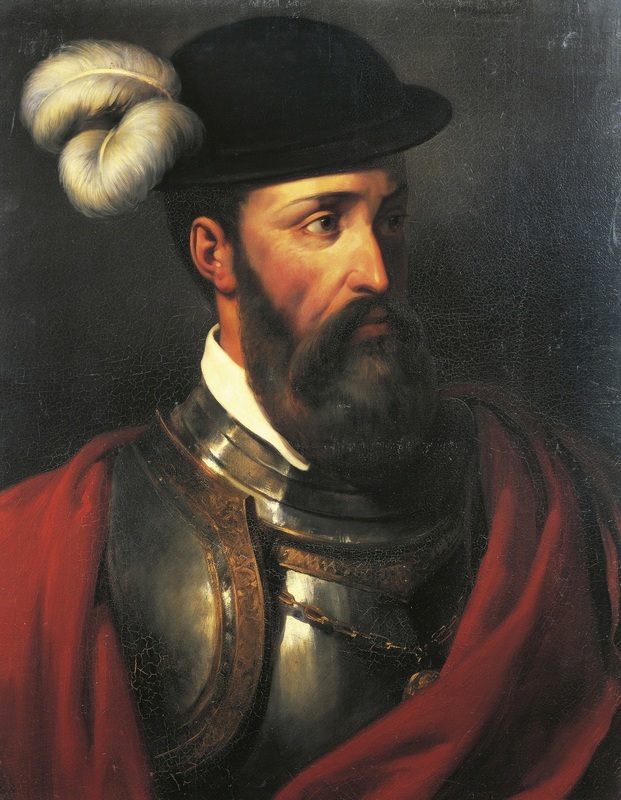 Pizarro left Spain for the New World in 1509, becoming a conquistador himself. His first expedition with fellow conquistador Alonzo de Ojeda failed, but soon Pizarro set sail again, and in 1513 he went to Cartagena where he joined Martin Fernandez de Enciso and his fleet. Over the course of the next few years, Pizarro became friends with the governor, Davila, and Pizarro was assigned the role of repartimiento of cattle and natives. Later, Pizarro was ordered to arrest conquistador Vasco Núñez de Balboa and bring him to Davila for trial. Davila was grateful for Pizarro’s loyalty and as a result Pizarro was made lawyer and magistrate of Panama City. Pizarro set sail on a number of expeditions to take control of land within the Americas. He was given permission by the Spanish Queen to take control of Peru in 1532. He went on to battle with the Inca people who were living in the area which is modern-day Peru. Pizarro and his men were clever, and had modern weapons; as a result they were able to strategically take control of the Inca land. The Inca conquest is one of the biggest conquests of the time, and is also the one that Pizarro is most well known for. The Inca conquest was one of the most important campaigns of the Spanish colonization of the Americas because it led to a number of other spin off conquests that resulted in the campaigns into modern day places like Chile and Colombia. The Inca conquest has been compared to that of Cortes’ and the Aztecs. In fact, Pizarro was inspired by the earlier actions of Cortes and had even read Cortes’ account of his conquest of the Aztecs. However, Pizarro had fewer men and much less resources and as a result, Pizarro’s conquest of the Inca’s has been said to have been one of the most improbable military victories in recorded history. Pizarro was assassinated in his own palace in 1541 by supporters of Diego de Almagro. He is remembered today for his role during the Age of Exploration and the impact he had on European expansion into the New World.